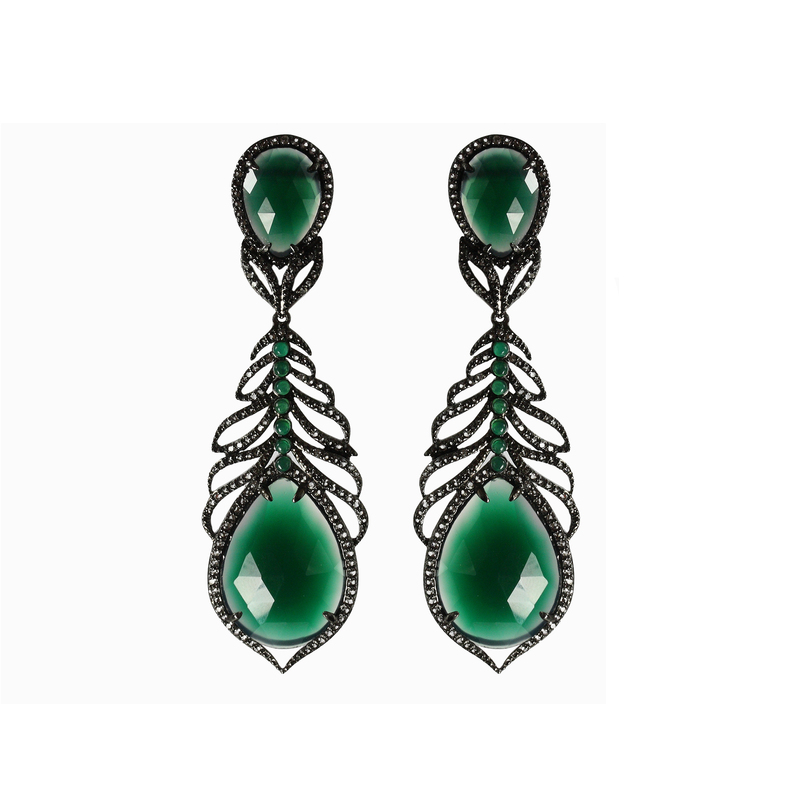 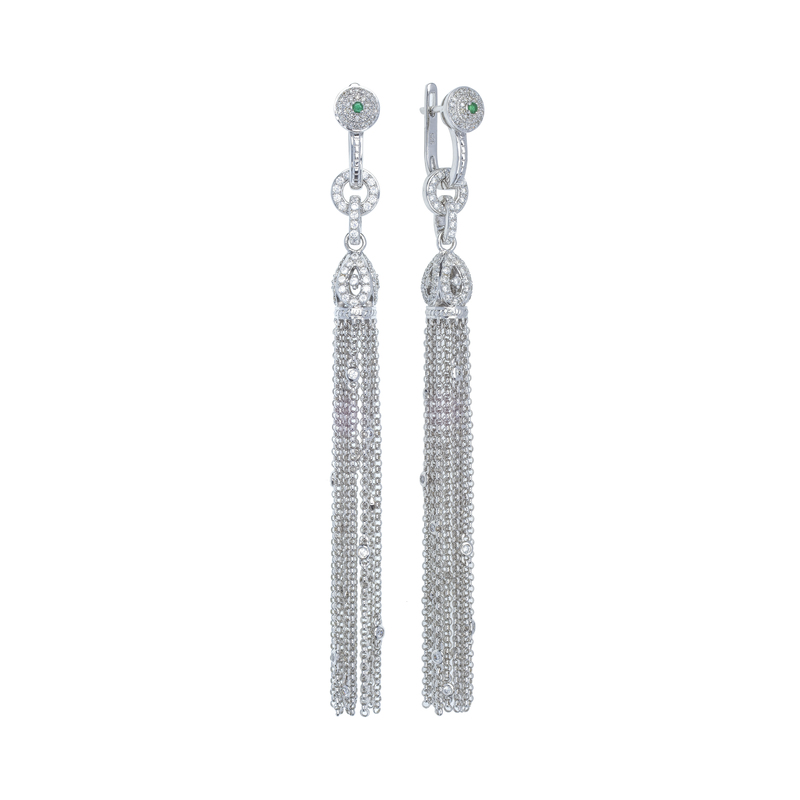 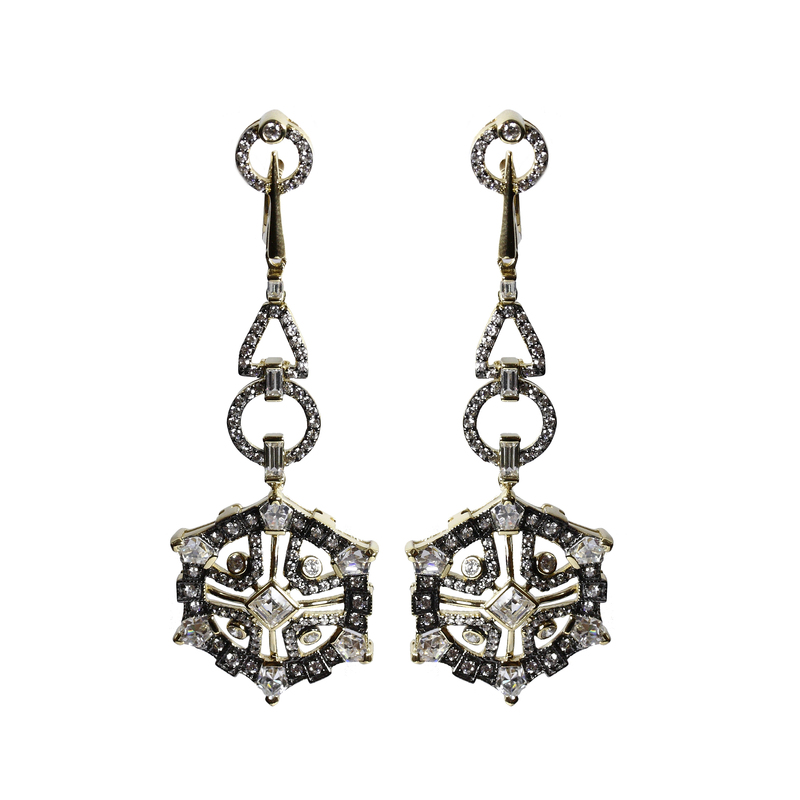 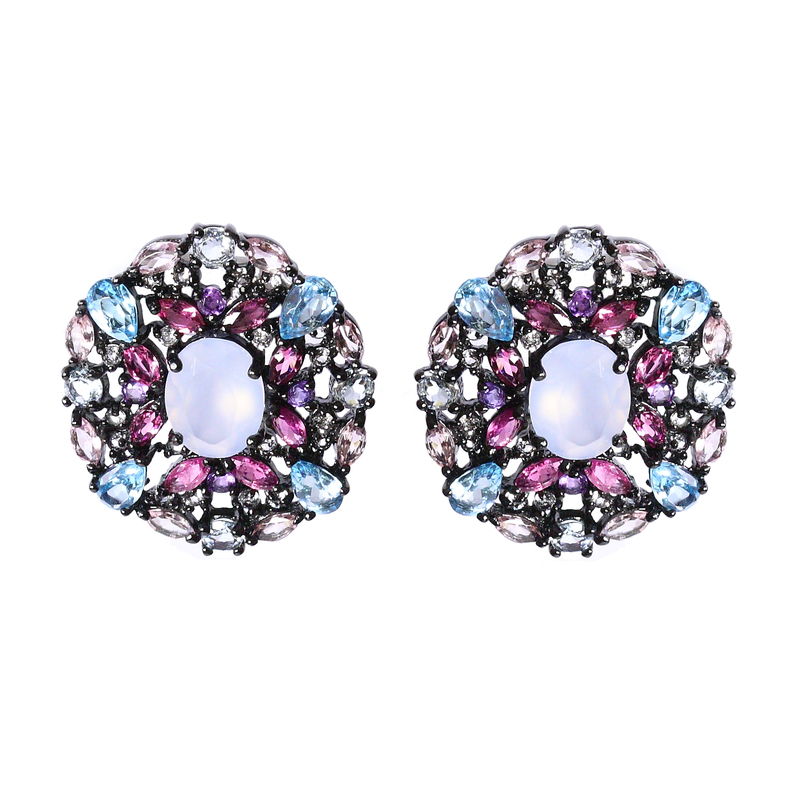 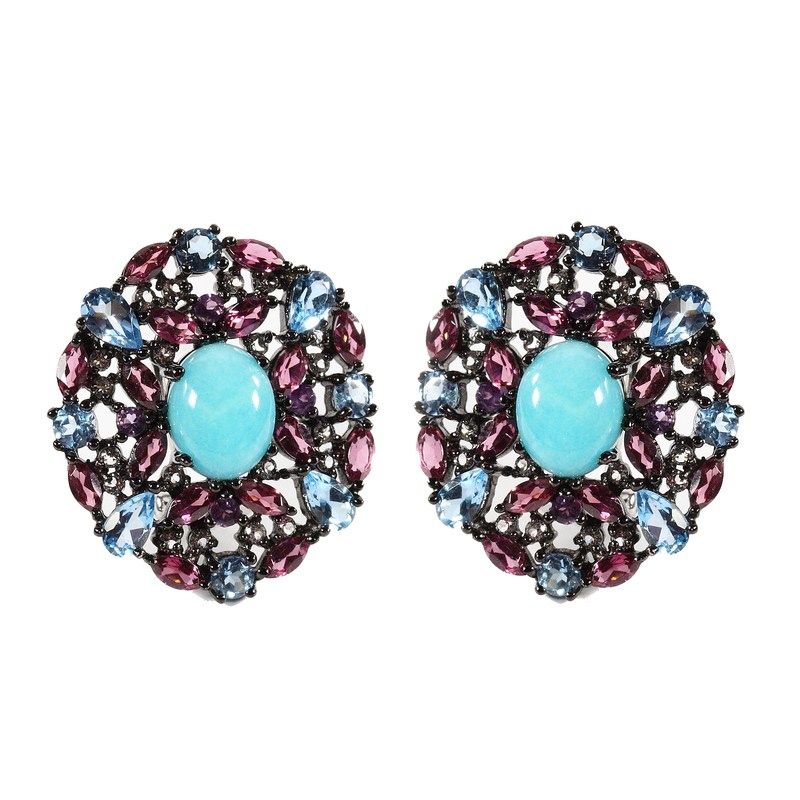 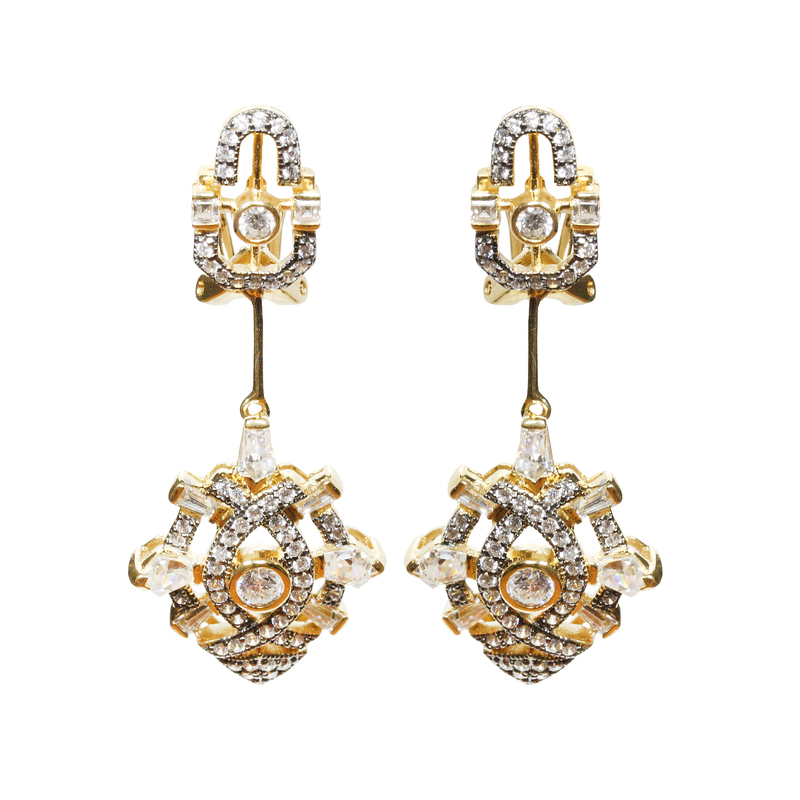 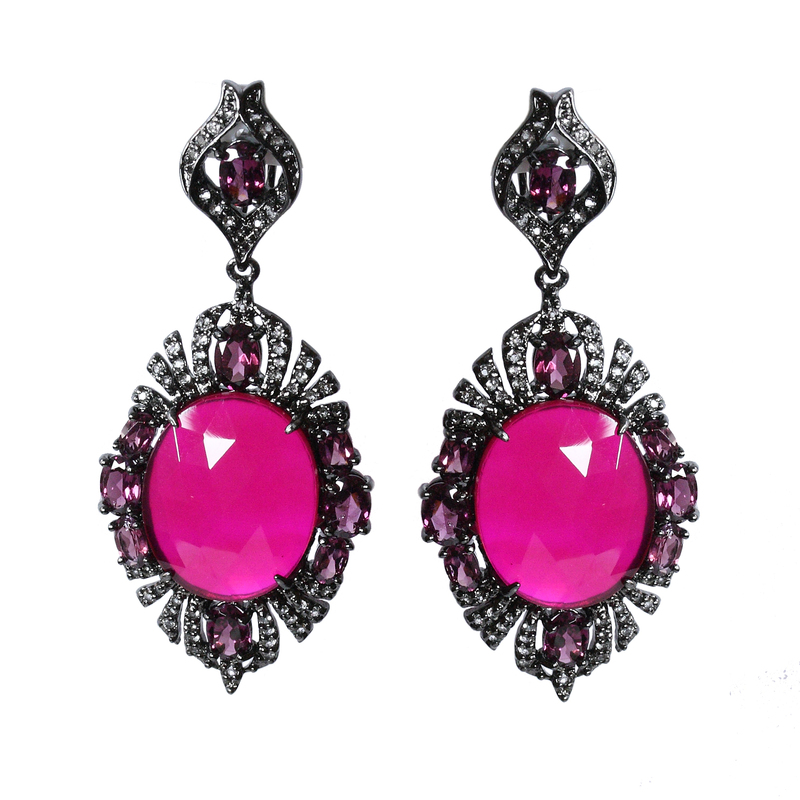 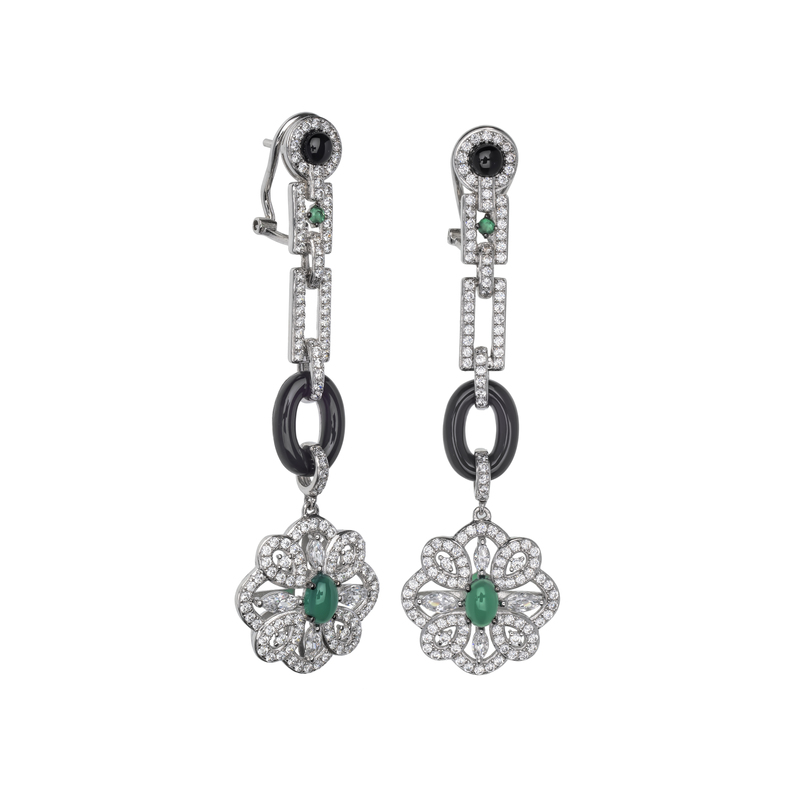 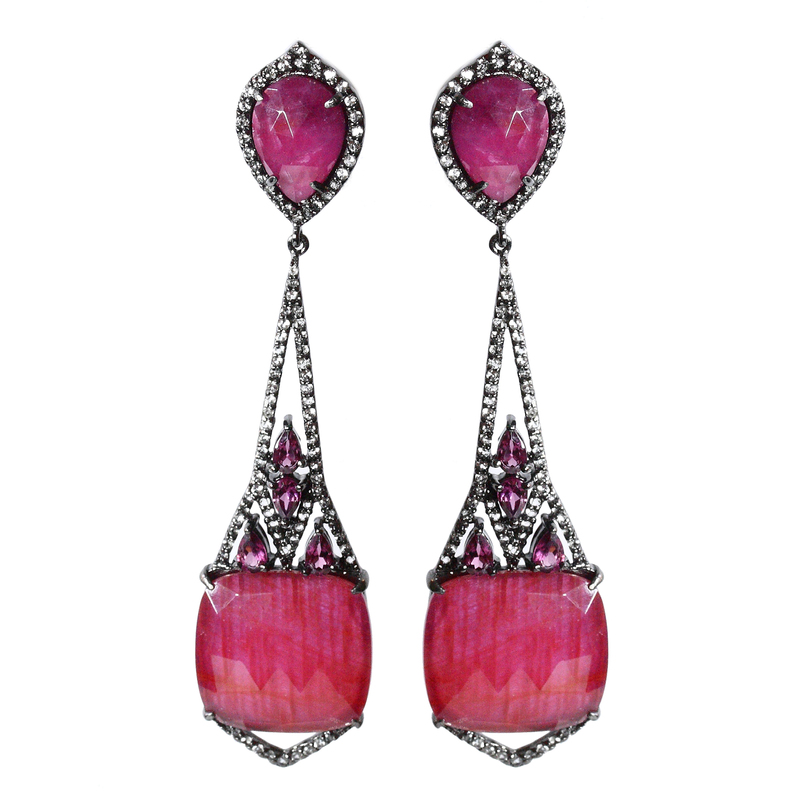 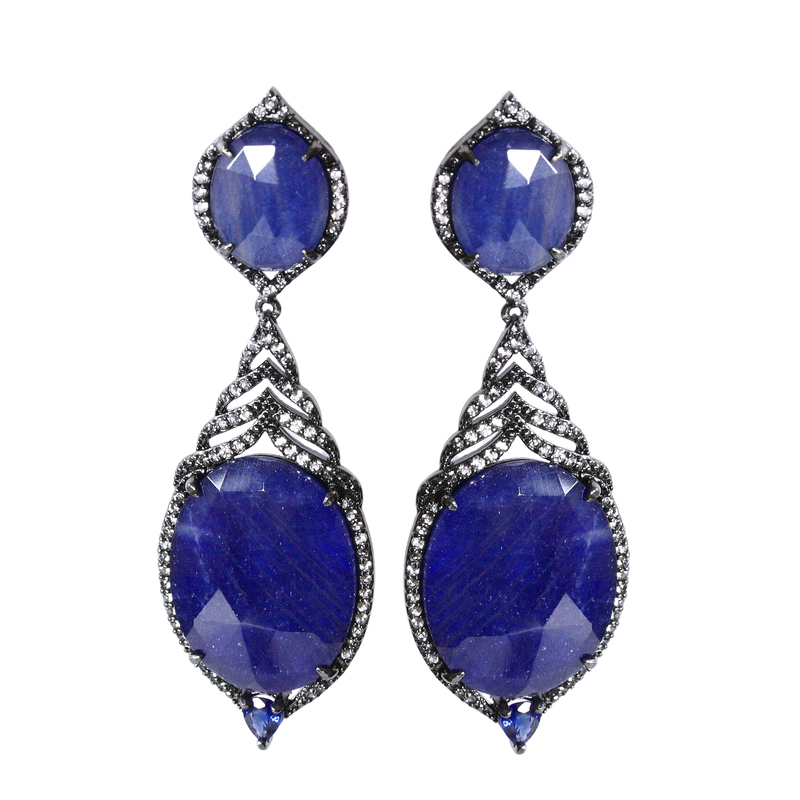 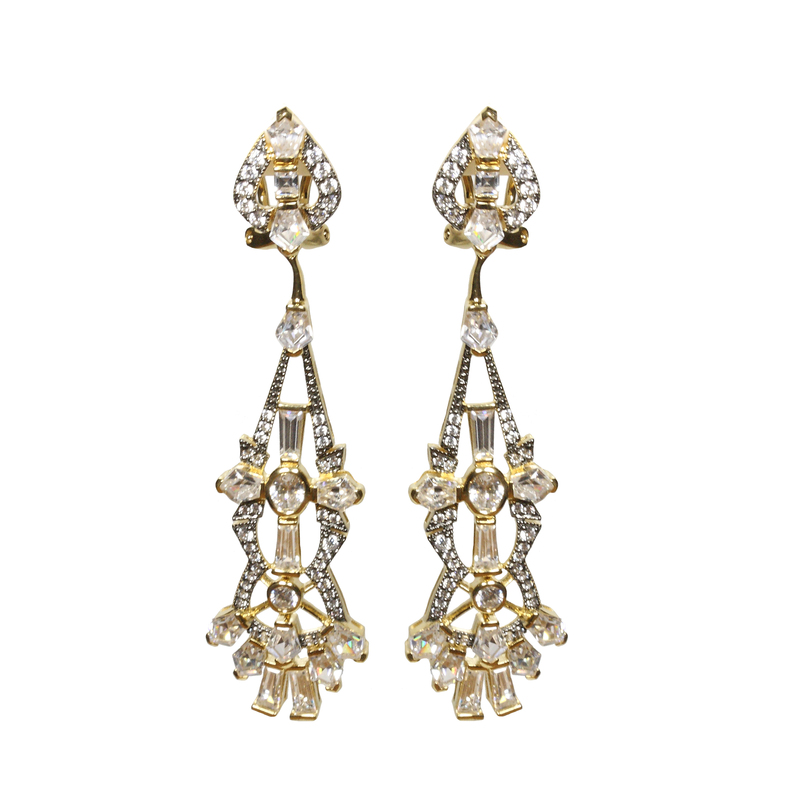 Silver earrings with an intricately interlaced gilded pattern in Oriental style. 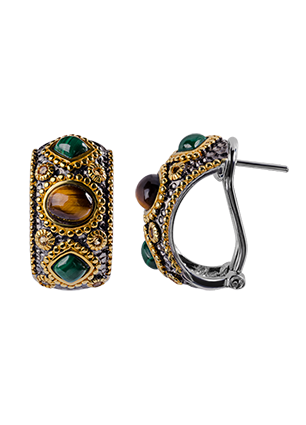 The undulating alternation between the matte and shine of tiger’s eye emphasizes the bright green malachite. 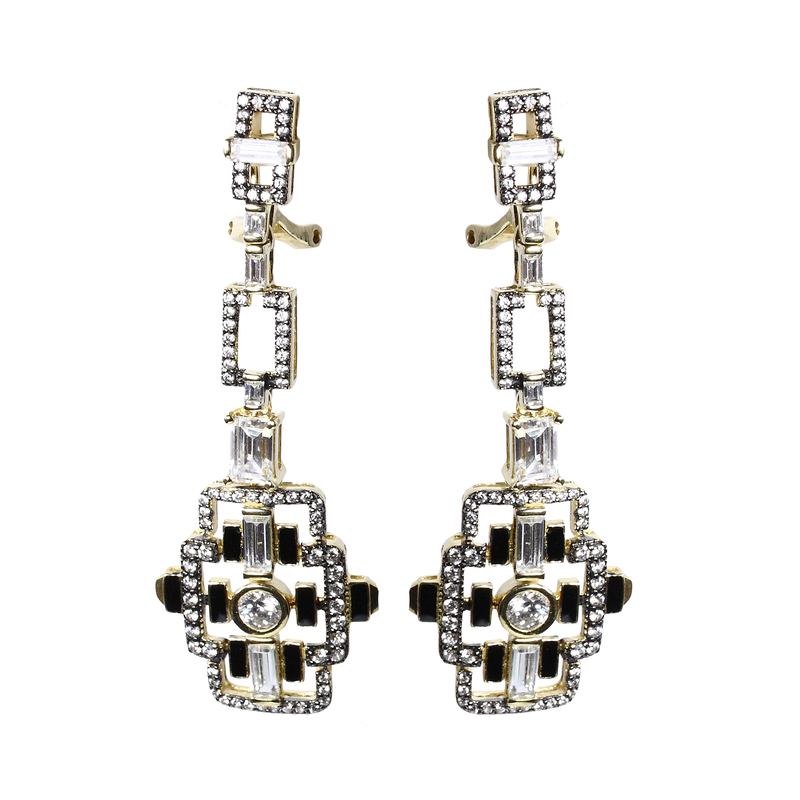 An elegant piece of silver jewellery that goes well with ethnic-style clothes or a sweater dress.